You’re a Digital Nomad and looking for the ultimate home away from home? 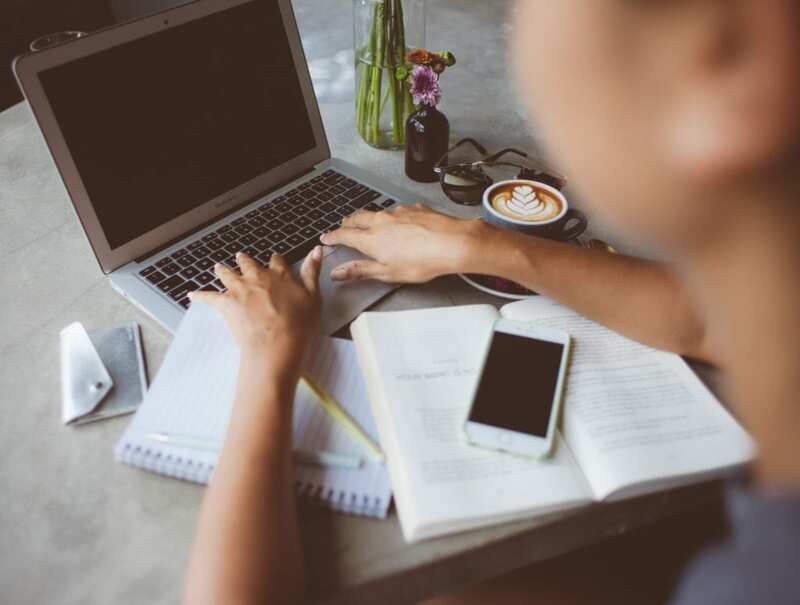 Consider taking your remote work to Canguu – the place to be for Digital Nomads, entrepreneurs and those leading a location-independent lifestyle. Here is all you need to know! A digital nomad myself, I arrived to Canggu five months ago and was hooked immediately. All the rumors I’ve heard seemed true. All the online guides I’ve read before booking my flight were correct. Canggu really is the place to be, if you’re part of the Digital Nomad club of remote workers and entrepreneurs. Bali is more than beautiful beaches, ricefields, mountains and drunken Australians. There’s a lot to love about this town and I am happy to give youthe full guide on the Digital Nomad life in Canggu! Of course, all that glitters is not gold. So I will make sure to cover both pros and cons! Canggu is situated about 10km North of Seminyak. The little beach town is not that little: It basically covers the area from the very chill Berawa over the busy main road in Batu Bolong and stretches all the way to Cemagi. 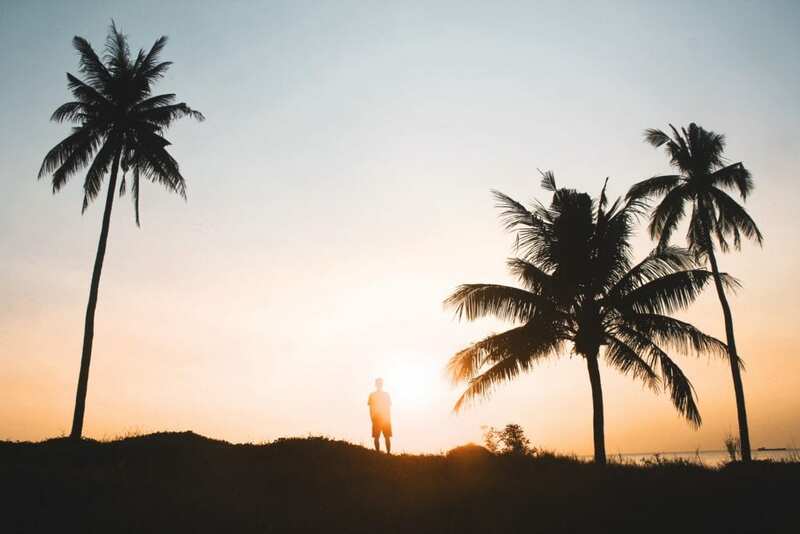 Could you live in Canggu, enjoy yourself and still be productive? Decide yourself! Why choose Canggu as a Digital Nomad? Visas are easy to obtain upon arrival, but can be a hassle if you want to stay longer than the 30 days granted with the free tourist visa. As a Digital Nomad you can stay in the country for two months, but you will have to choose the option “Visa on Arrival”, which costs US$35 and allows you to renew your visa to stay for a total of two months. Renewing your visa is quite easy if you’re hiring an agent. 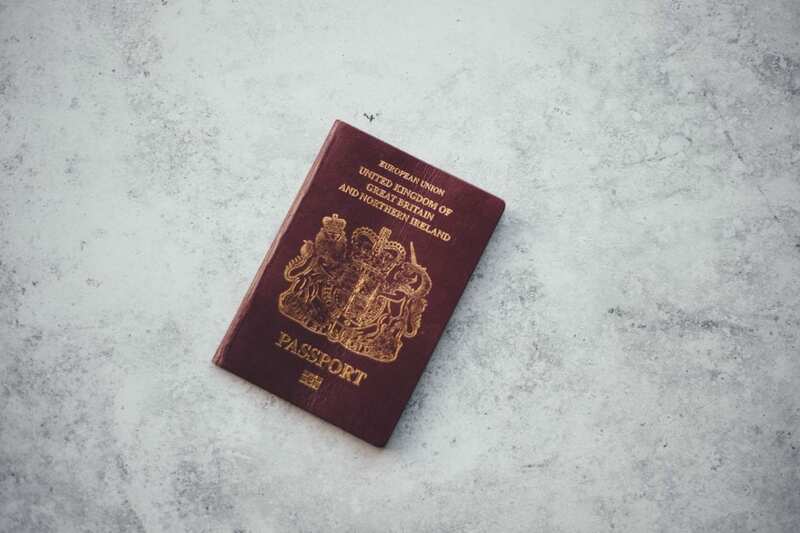 The process looks like this: Seven days (preferably more to make sure no public holiday interferes), you take your passport to an agent who then takes care of the necessary documentation and schedules an appointment at the Immigration office. You’re then sent to the office in Denpasar, to give your fingerprints and answer a few simple questions. Expect a cost of $45 for Visa and agent services. After two months, it’s a common practice to take a flight to Singapore or Kuala Lumpur and do a short visa run. 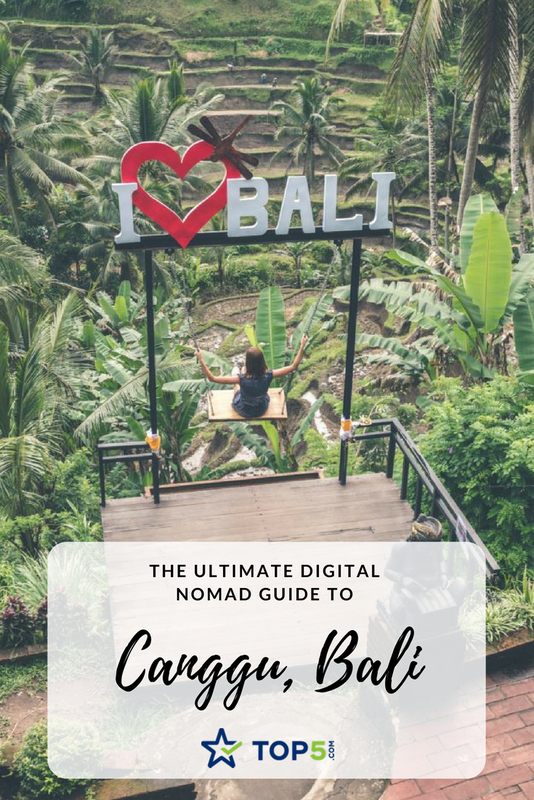 Most Digital Nomads leave and return on the same day (because why would you want to leave Canggu) and there are no questions asked. 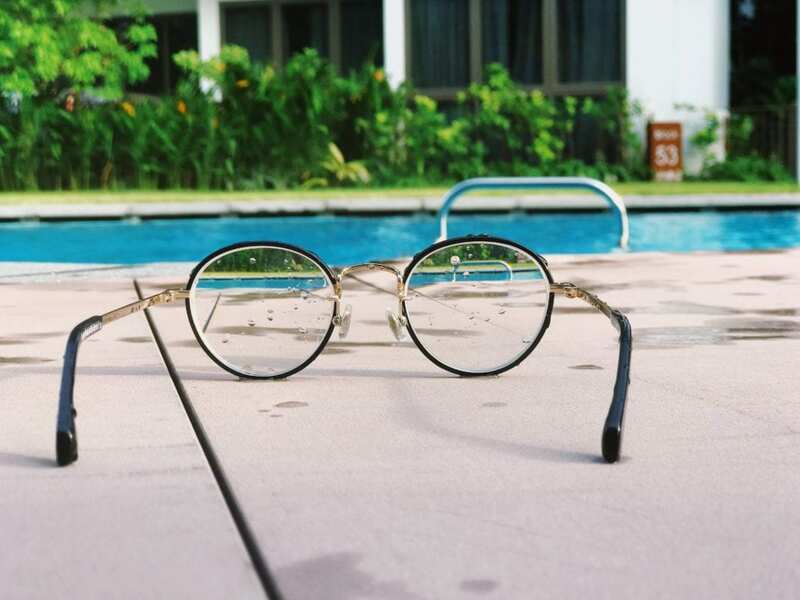 Finding a nice Airbnb ora private villa with pool for a very affordable price is an easy thing. I recommend to first come here and stay in a guesthouse, before making any longterm commitments. You want to know where your favorite cafés and yoga studios are first. Facebook groups are a great place to start looking for your new home! Here are some you should check out! For a room in a shared villa, the cost varies depending on the typeand size of the house, but generally you should expect to pay somewhere between $200 (for a relatively basic, moderately sized room) up to $600 (if you like it more luxurious). After months traveling through East Europe, Asia and Australia, I finally found wifi that is good enough to actually work online efficiently! Expect to have around 25 mbps / second at your villa. If that’s not satisfying, then hit up one of the many Coworking places in and around Canggu! SIM cards and data, are also easy obtainable and super affordable. Right after arrival, you can purchase a XL package with 35GB for only $11 at the airport! Finding a great place to work isn’t difficult at all. 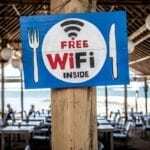 There are many amazing cafes to work from, almost all of them with a decent internet connection (see below). But if you prefer to hustle in a co-working space, you’ve got plenty of options! For a monthly membership fee or a minimum spend, you’ll get access to fast wi-fi, meeting rooms, andmore! 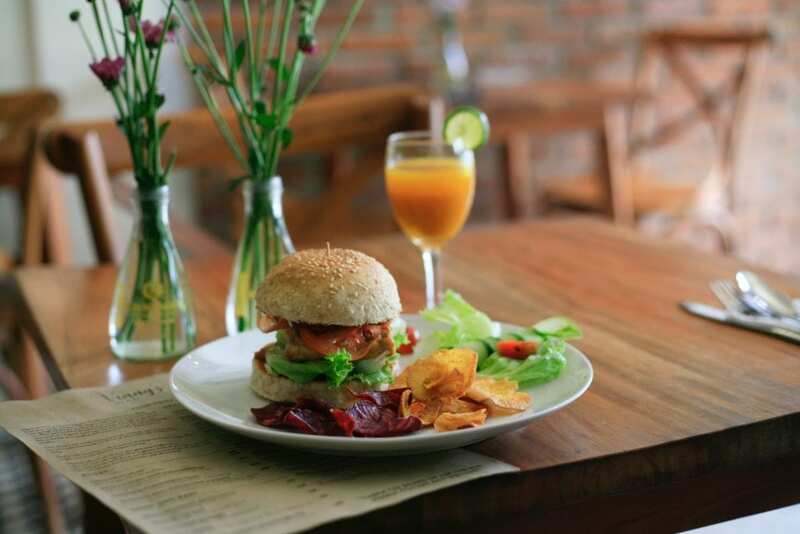 There are loads of awesome cafés and restaurants in Canguu and besides brunch, date nights and vegan breakfast, they also offer you the opportunity to take your work outside and answer your mails while enjoying smoothie bowls or burgers and craft beer. Here is a list of my favorite cafés with great wifi, very good coffee and a relaxed atmosphere! Ngurah Rai International Airport is the only airport on the island and is situated just South of Kuta. International airlines flying to and from Bali have daily flights to Bali via Australia and Asian capitals such as Kuala Lumpur and Bangkok. The present runway is too short for planes flying nonstop to/from Europe. You’ll never want to leave again. You’ll become obsessed with yoga and/or surfing. You need to learn how to drive a scooter. The truth is, getting around without a bike can be hassle, life-threatening at the worst. I tried walking the infamous short-cut (the puppy one-way street through the rice-fields connecting Batu Bolong and Berawa) once and immediately regretted the decision for two reasons: (1) There are no sidewalks. (2) Nobody expects to encounter a pedestrian, because everyone, even 11-year old kids drive a scooter around here. If the idea scares you a bit, don’t worry. We all started somewhere. Plus, renting a bike allows you to further explore the island and is super cheap. We are talking $40 per month cheap. When you do ride a scooter, make sure to wear a helmet. You’d be mad not to. 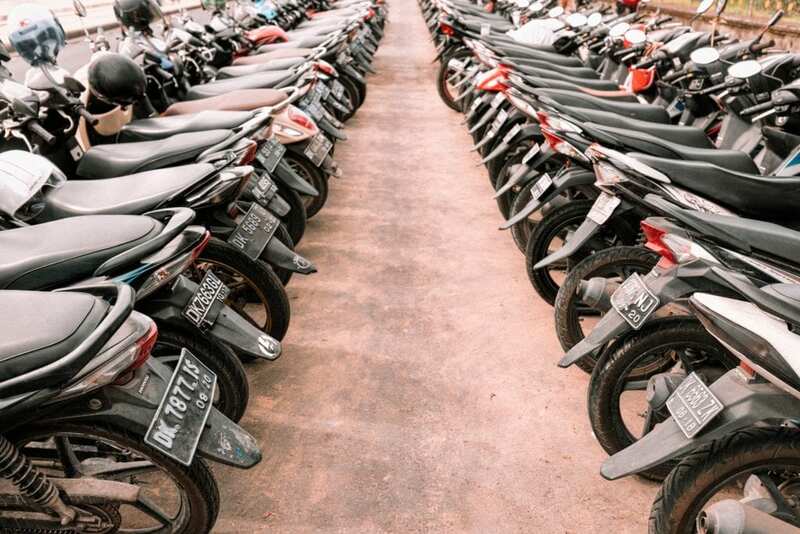 Should you not dare to ride a bike yourself, then there is simple solution: Scooter taxis can be ordered via the go-jek app and will bring you almost anywhere for little money. Prepare to leave a puddle of sweat everywhere you go. Chances are that during May to July, the heat will be least penetrating and you’ll be able to leave the house without looking like you’ve just had a shower – fully dressed. Expect mostly warm and humid days throughout the year, with rain season being the heaviest from December to February. But even then, the town will be flooded with Digital Nomads from the Northern hemispheres who are trying to escape the cold weather. During this time it can get quite packed at the most famous co-working spaces. Pack accordingly! When in Bali, you’ll most likelylive in your swimmers. Bring shorts, light shirts, maybe a rain jacket, long, airy dresses and flip flops. There is an incredible amount of things to do in Bali. Sometimes even too much. 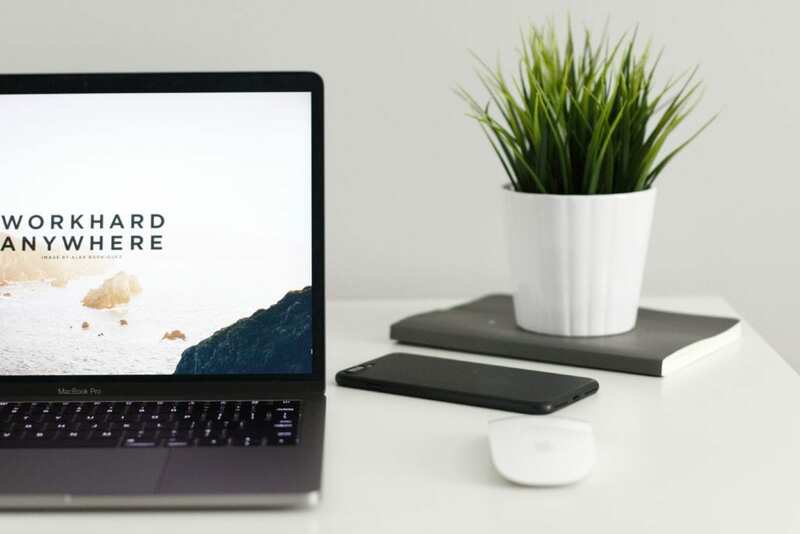 If you’re a Digital Nomad that gets distracted easily, be aware of the fact that you’ll have to try extra hard to stay on track! 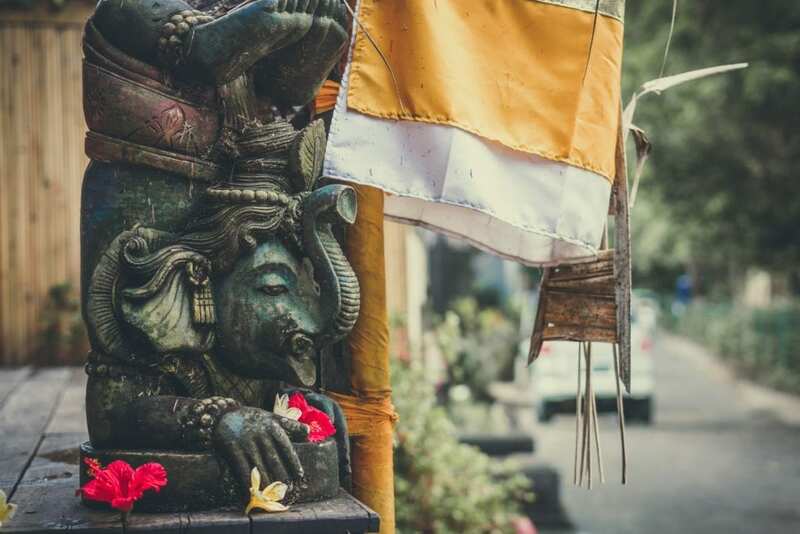 Surfing, yoga, Crossfit, going for a hike, exploring temples and waterfalls, visiting the monkey forest in Ubud or taking a spa treat meant… the options are endless, affordable and super accessible. There are a few things I’d like to point out, to give you a realistic expectation and paint an honest picture. Bali can get quite overwhelming at times. There are a few reasons for this. First of all its a very touristy place, which brings a lot of issues itself. What pains me to see each and every day is the amount of garbage on the streets and on the beach. There is also no public transportation, so you will eventually have to learn how to drive a scooter if you don’t want to miss out on all the good stuff. Loud custom bikes can become quite obnoxious (if you do decide to give Bali a try, you will soon learn what I mean). Crime & scams have become a real problem, so watch out, theft and ATM scams are unfortunately relatively common. I myself had the pleasure to visit the police station once, because someone managed to make a copy of my credit card. I recommend to only pick up money from official banks and avoid the ATM’s in and around Canggu. 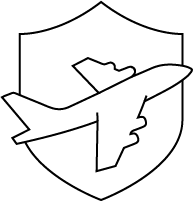 You might also want to consider getting a travel insurance to have you protected. If you’re thinking you’ll be able to dip in the ocean every day, I am sorry to disappoint you. Except, if you’re a super skilled swimmer, mermaid or attached to a surf board – in that case go ahead! The beach is pretty much non-swimmable as the waves are rough and the water packed with surfers. But don’t let the cons fool you! As a Digital Nomad of now three years, after traveling to and working from more than 15 countries, I can say without doubt that I am having the best lifestyle I’ve ever had, right here in Canggu. The high standard of living and great infrastructure make moving here a no brainer. 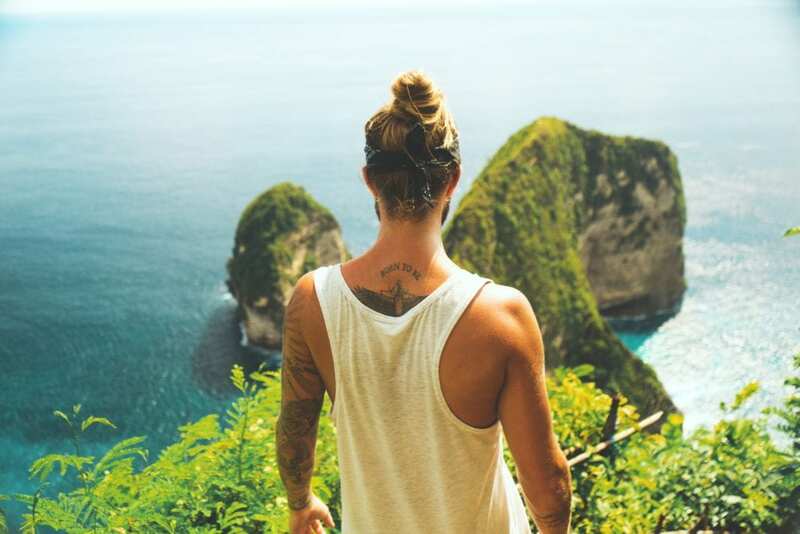 In Bali, the opportunities to make most of your work anywhere life are sheer endless and as long as you’re organized and don’t get distracted too easily, you’ll be having a great and productive time! Not happy? Then check out our list of the 20 best Digital Nomad locations!